Beginning with a man waiting anxiously by a lift the novel takes us through three key moments in the life of the Russian composer Dmitri Dmitriyevich Shostakovich: the negative reaction from Stalin to his opera Lady Macbeth of Mtsensk; a promotional tour he makes to America after his Leningrad symphony, which did find favour; and life under Kruschev when the composer is forced to join the Communist Party. The story is told from the composer's viewpoint as he reflects on his life and the situation he finds himself in. The overriding mood of this novel is elegaic. Sally pointed out that a preoccupation in Barnes's most recent works has been the idea of looking back over a life from its end, the decisions that were made, the compromises, what it means to be an artist and to do creative things. Seen as a development of these ideas the Shostakovich story provided a good subject. We appreciated the sense of the music as something that should be pure, and yet for Shostakovich it was under close political scrutiny that at any point could have led to his detention or execution; as a result he was unable to truly express himself. His compositions, Barnes suggests, are exercises in doublespeak. In the novel there's a striking moment of self-realisation in which Shostakovich asks himself if he had sold out and become the enemy. The book makes it very clear that challenging authority, making a stand, simply wasn't an option. So many of Shostakovich's creative and artistic contemporaries did not survive. Shostakovich did, but his was a life lived in fear and the book examines what that might have felt like. But how vividly does Barnes create that world? We liked the way we only see things from Shostakovich's point of view, and thought that worked well. But we found it dry. There wasn't enough material detail. We wanted it to be more profound, richer. It felt too dispassionate, almost as if Barnes was channelling himself too much. And to us the writing felt self-consciously crafted. Some commented that as a writer we wanted Barnes to make the story intense and dramatic; instead he holds us at a distance. This novel never really captured us although a greater knowledge of Shostakovich's music might have helped. 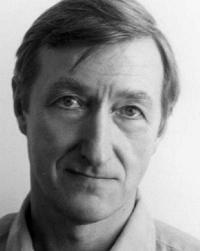 One for Julian Barnes aficionados. Fascinating interview with the author on Newsnight in which he talks about Shostakovich as the 'perfect character for moral complexity'. Shostakovich and his Fifteen Quartets by Wendy Lesser, reviewed here in The Guardian. I found this promised a lot more than it delivered. I kept expecting it to be richer, more engaging, to give me more of a sense of the character, but it lacked that personality and left me feeling it was light on Shostakovich's history and I found myself dubious about the author's imaginings. 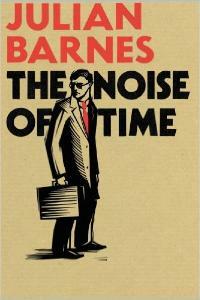 I do like Julian Barnes's cool, precise writing style but I don't think this is really a book about Shostakovich. I think he uses the composer's story as a meditation on ageing, the moral and creative compromises the artist has to make and for Shostakovich those compromises are more extreme than they would be for most people because of the regime that he was living under. And so the disconnect between the lies lived and the work created was greater and therefore more interesting. I think it helps the more familiar you are with Shostakovich's music. Lady Macbeth of Mtensk is genuinely a shocking work. I really hated this. I found it bland and boring and difficult to read. There were occasional moments that engaged me but generally it left me cold. I didn't feel anything to the point that I didn't care, which felt like a shame. I felt a bit 'meh' about this. Halfway through I forgot the title. I didn't feel emotionally connected. If it had been a longer book I'm pretty sure I would have given up. I loved Alex Ross's The Rest is Noise, and found the chapter on Shostakovich and Prokofiev brilliant and engaging. I was looking forward to reading what Barnes's novel might add, and perhaps this is why I was so disappointed. I thought it a good meditation on what living in a climate of fear might be like, but for me this book felt slight, and somehow unworthy of the subject matter. A shame. And yet for all its apparent simplicity I have a feeling this novel will stay with me longer than The Sense of an Ending. Five stars for the cover design, which I thought worked beautifully.